At last, a red series line! 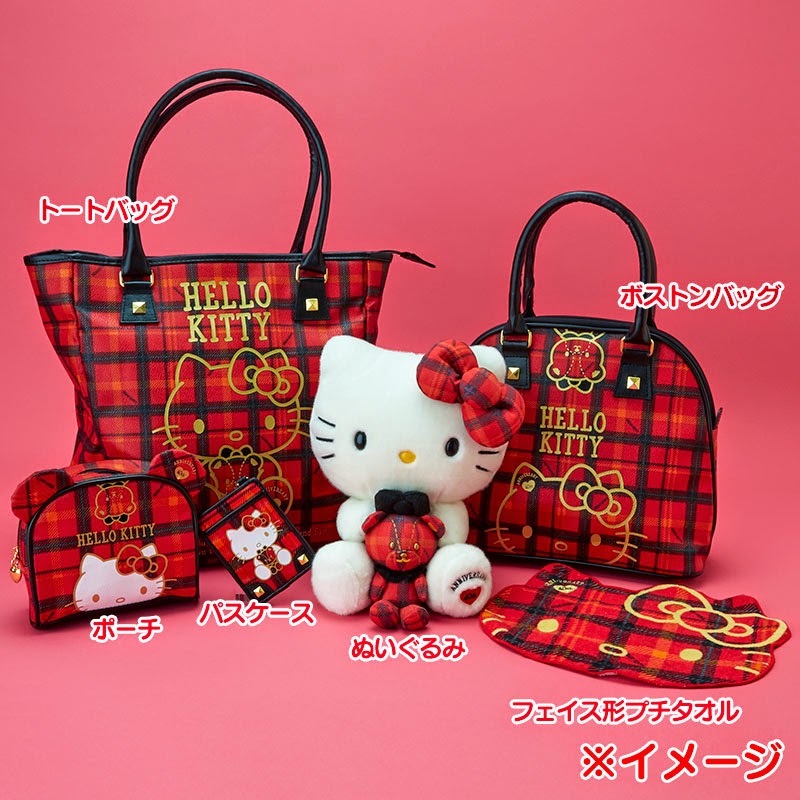 Recently, Sanrio has come out with a new series line-- all in red color. If what memory serves me, it has been a long time since Sanrio has focused on a red series line (excludes kitchen tools). They've been certainly focused on the color pink for both characters: Hello Kitty and My Melody. While there's nothing wrong with focusing on a pink color theme, a change up of colors to a red theme would bring about some diversity to the character, whether it being My Melody or Hello Kitty. Plus, red is a classic color that both characters have started out with-- a red bow for HK and a red hood for My Melody. Including myself, there are many fans who have missed a red themed Hello Kitty series (plugin: RED hood My Melody fans too!). So, when Check Plaid design series came along and was released, I was very excited and hoping that several items would catch my eye to add to my collection. Unfortunately, I have to say that none of the items in the red Check Plaid series caught my interest. In the 90's, Sanrio would release a series line that had more than 22 items. It would also include a matching series of stickers, pens, erasers, stationery, and desktop products. The whole shebang! Nowadays, it's a limited regular series that we get from time to time. I have a feeling that if this red series had included stickers, a pencil case, classic stamp set box, ceramic coin bank, and pens to purchase, I'd be first in line to order. I think I am turned off by this design because I know that the handbags are laminated embossed instead of just fabric feeling of the handbags. When you run your hand over the bags, you will feel the plastic laminated embossed that will protect your bags from staining easily. Again, what's with the plastic? Sure, the designers laminated for the benefit of keeping the stains away, but it's not the same if it has a shiny gloss over the product. Compared to a Gucci hangbag, do you see them putting plastic over their leather bags? Would you like carrying around plastic covered purses? For me, it's a definite BIG fat NO! For me, it's all about FASHION. No plastic needed, thank you very much. So what if your handbags are stained after using a few months later? It's why we're called shopaholics for a reason. We have an excuse to go buy another gorgeous handbag out there that has caught our eye. It's a repeated cycle. We get something new, it eventually gets old and retired from use, then replaced. 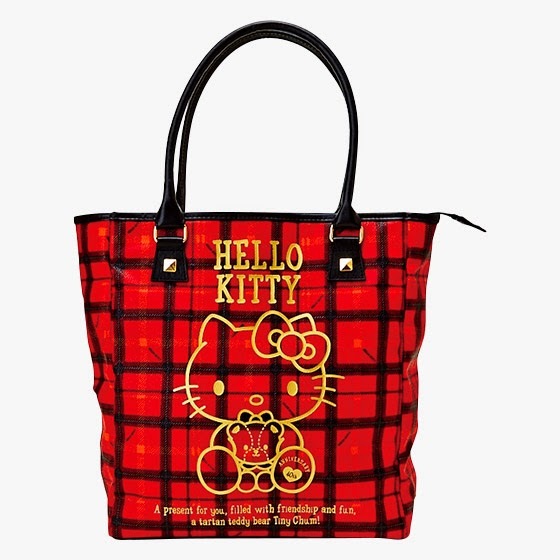 Another thing that is a turn off, the gold outline of Hello Kitty is a bit hard to see from the busy plaid background. 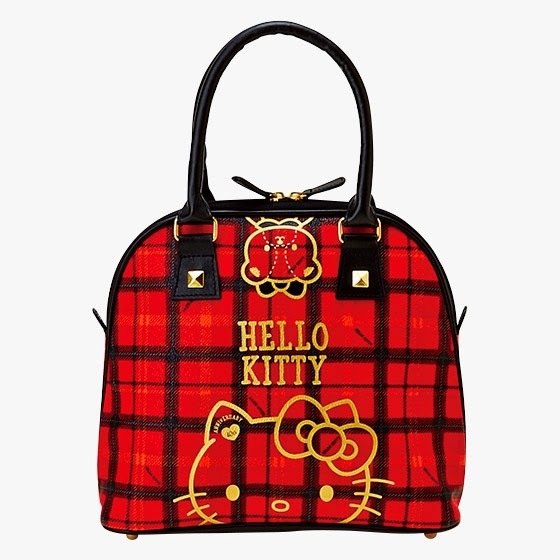 Since it's laminated, I'd make a stab of it and guess that the gold outlining of HK is separate from the red plaid handbag, right? Meaning the gold outline is printed on the laminated embossed material. Why does this watch look like cheap plastic or a cheap imitation of a real watch? 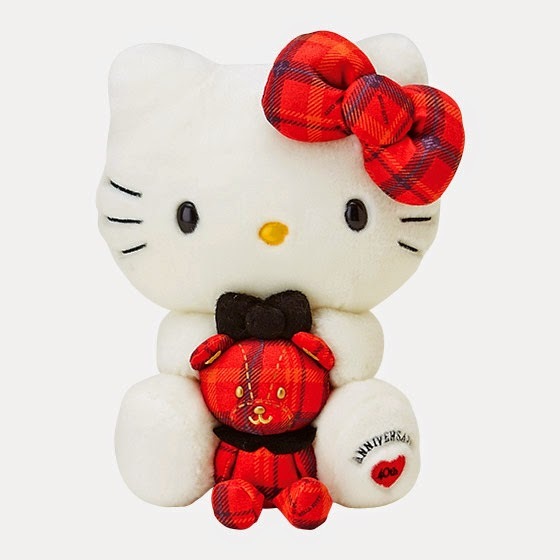 What happened to the middle portion of Hello Kitty's upper body? Why is it designed like that?